Henning Mankell, the creator of Wallander, said his crime novels—like your company's products—took root in an idea. Returning to his native Sweden from a stay in Africa in the spring of 1990, Mankell noticed racism had taken a stranglehold on the nation. "It soon dawned on me that the natural path to follow was to write a crime novel," Mankell said. "This was obvious because in my world racist acts are criminal outrages." Writers like Mankell understand: while ideas alone don't compel audiences, stories do. But what makes a story a story? How do you tell one? You have to find a hero. Forget about Citizens United v. FEC. Corporations aren't people. Your story can't be about your damn company. It has to offer us a flesh-and-blood hero who struggles to overcome a cruel world. Without Wallendar, we don't care. You have to create suspense. Page-turners, plays, movies and TV shows grip audiences because of suspense. The setup teases and you want to know, What happens next? No tease, no story. Right away, you have to put Wallander in a mysterious jam. You have to appeal to emotions. Most facts are unmemorable. And most people aren't fact-minded. Stories tug at emotions. Fear. Uncertainty. Confusion. Ambition. Greed. Admiration. Wonder. The soft stuff. You have to personify. An idea like "racism" is intangible, difficult to understand, and not especially gripping. 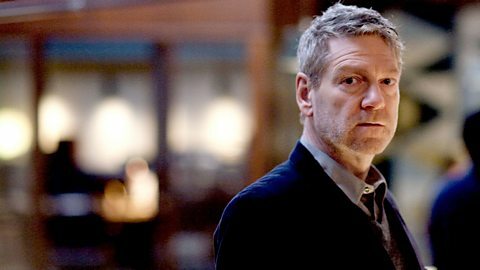 Not so Wallander combatting victimizers of people on the margins. Convert ideas into characters and storylines. You have to paint pictures. "Show, don't tell." Lightly sketch each scenario as your story unfolds and let your audience connect the dots. Don't feel compelled to lecture. You're a storyteller, not a preacher or teacher. You have to find a niche. Long-term success comes when you find a niche you can own. Wallander tapped the popular niche known as "Nordic Noir." Every novel in Mankell's series is propelled by a backdrop where mean streets are walked by morose Swedes who themselves are neither mean, nor tarnished, nor afraid. You can tell stories—endlessly—when you find a niche that appeals to your audience.